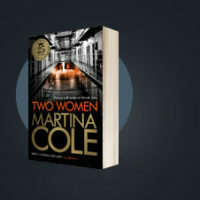 For years Martina Cole has visited and worked within prisons across the UK. 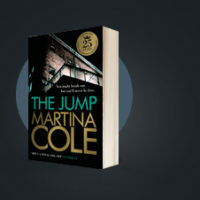 A passionate advocate of rehabilitation and education within the prison system, Martina has taught creative writing classes, given talks, and, in her role as ambassador for the Reading Agency’s Six Book Challenge, she’s seen how important increasing literacy is for educating inmates. In fact, it always surprises her how many young prisoners, especially male inmates, who can barely read and write when they get to prison, read their first book in this tough environment. Martina loves opening the door to the world of storytelling and language to people who have never picked up a book before. Her favourite moment in her creative writing classes within prisons is when she sees people who have never read a book in their life suddenly discovering storytelling and wanting to discuss books with her and their fellow prisoners. 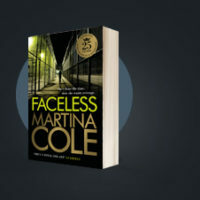 Martina’s books are the most requested books within prison libraries and the most stolen from bookshops, a statistic she is very proud of – stealing aside! Because, for Martina, if her books are the first a person has ever picked up she’s delighted to have encouraged them to start reading. She advises new readers to find their passion and read widely within it, be that crime, romance or science fiction. The book she recommends most to prisoners is The Call of the Wild by Jack London, a book she read and loved when she was young. Martina spends a lot of time working with women in prisons, trying to get families together, making sure these women get an education and can have the best chance of making something of their life once they’ve served their sentence and get out of the prison system. She’s worked for organisations such as Women in Prison and she’s a patron of Chelmsford Women’s Aid. As a supporter of initiatives to improve prison conditions with the aim of encouraging rehabilitation, Martina has been pleased at the positive changes she’s seen over recent years in the prisons she visits regularly. The attitude towards rehabilitation has shifted in a positive direction in many institutions with better libraries and education programs in place. 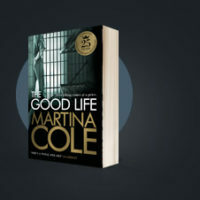 And Martina will continue to work tirelessly to support rehabilitation and education within prisons, as well as writing books that inmates and people everywhere will read and love.